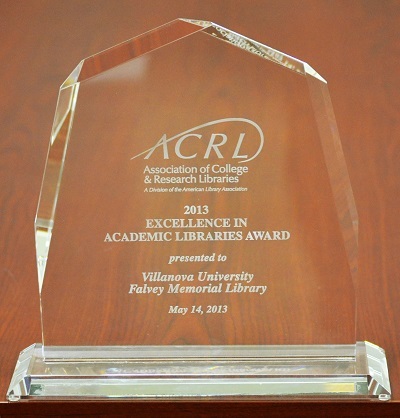 Falvey Memorial Library received the ACRL Award on May 14, 2013. 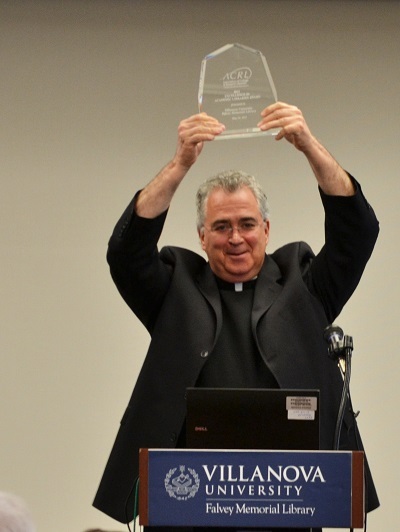 We celebrated with a symposium and a party and Father Donohue honored the Library personnel with a reception. ACRL, the Association of College and Research Libraries, is a division of the American Library Association. The award is currently on display in a cabinet beside the pillar across from the circulation desk on Falvey’s first floor.